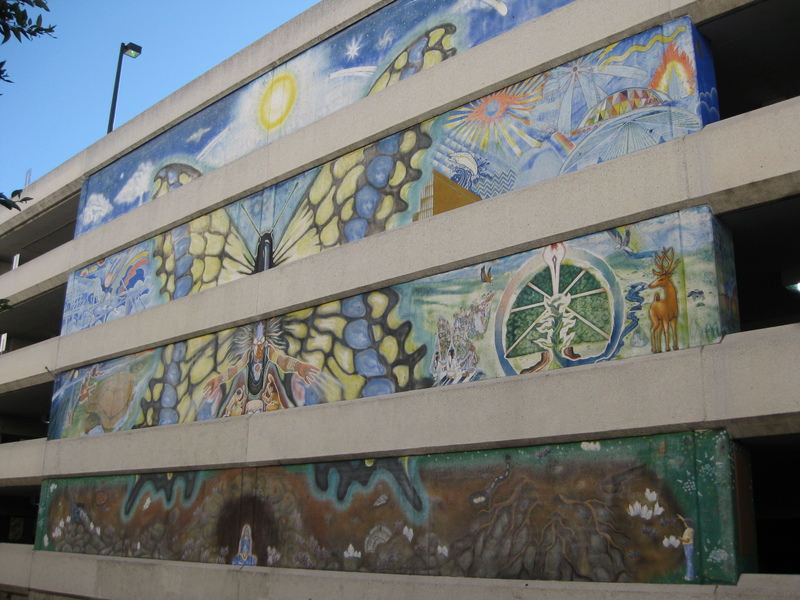 The Metamorphosis mural was created by Centro de Artistas Chicanos and is located on the eastern façade of the Downtown Plaza parking lot at 3rd & L. The mural was a collaborative effort by artists Juanishi Orosco, Stan Pidilla, Esteban Villa and others in the Centro de Artistas Chicano (1). Each section of Metamorphosis represents a layer of energy. 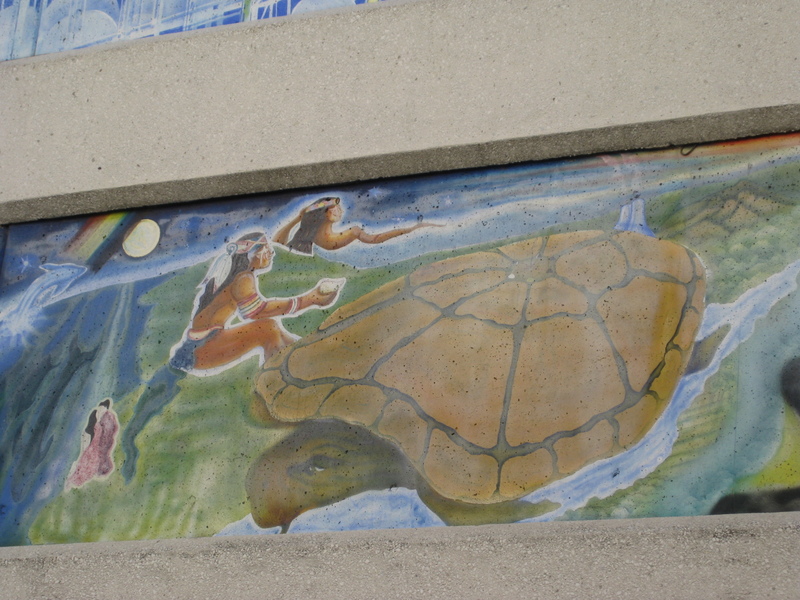 I assume each of the four sections of this mural measure 6’x62′; the same measurements as the “sister” mural installed on the opposite side of the parking lot called, The Way Home. 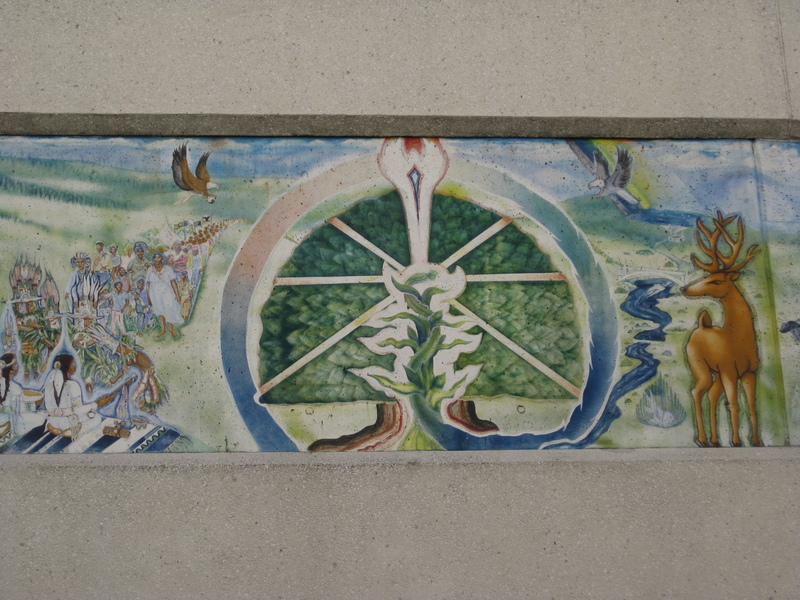 The third section of the mural represents technology, innovation, and impact on the earth, and the top layer represents the heavens and universe (5). Russ Andris has a photo gallery with good detail images of those sections here and here. The Centro de Artistas Chicano was created in 1972 by the Royal Chicano Air Force (RCAF), which is an art collective based here in Sacramento, California. I’ll write a dedicated post about the RCAF in the coming weeks, but here is a small introduction. 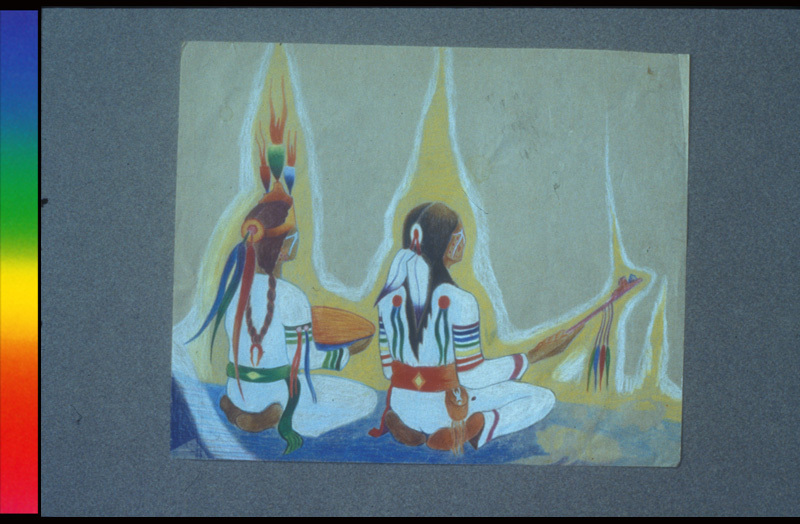 The RCAF is best known for its mural paintings, poster art production, and individual artistic contributions. 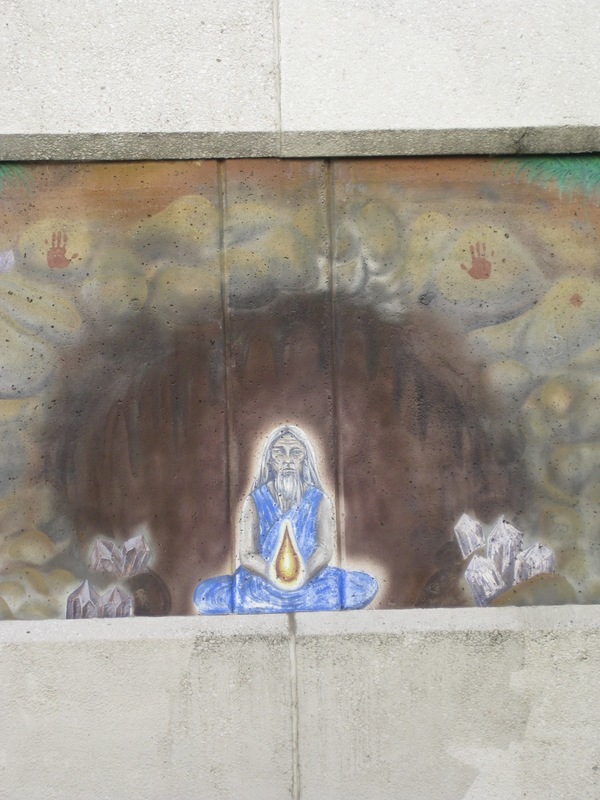 The artists of the Centro have produced murals and exhibitions from San Diego to Seattle. RCAF is significant as a collective that has maintained a forty year history of engaging communities to express their Chicano culture, history and struggle for equal rights (7). 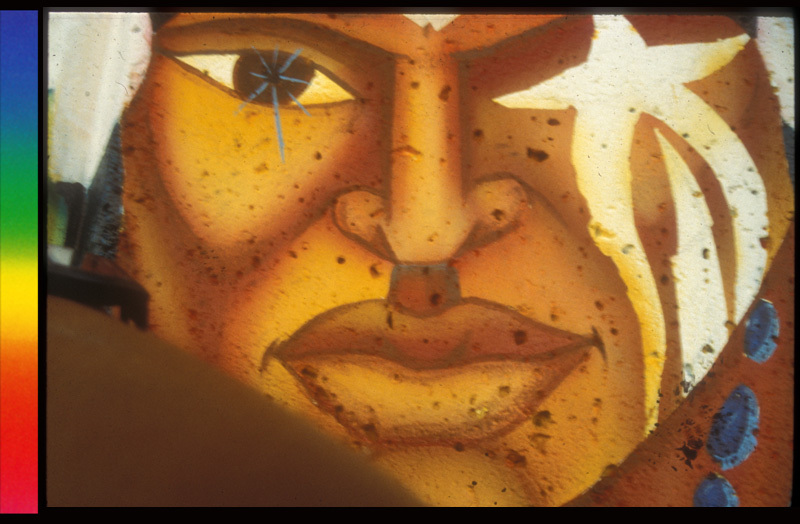 In an KVIE interview with several members of RCAF, Stan Padilla describes how the Metamorphosis mural was seen as a departure from the tradition of Chicano muralists that painted primarily political, economic, and social themes. He explains that Metamorphosis is a “human mural” and tells a story about a beautiful moment that occurred on the day they finished the mural. [The mural] was very controversial at the time, not only from the arts people but from our own people saying, “Where are all the power fists? Where are all the huelga birds? We’re not used to this new kind of art. 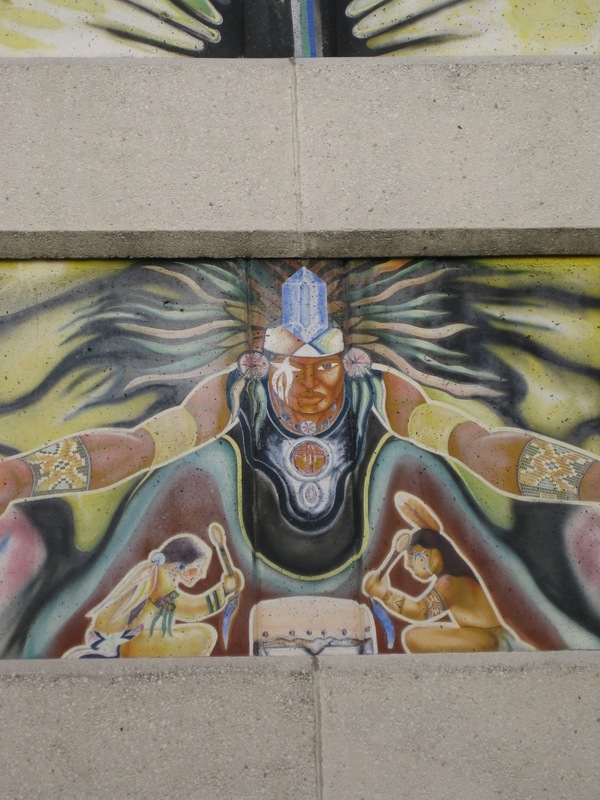 This does not seem to be a Chicano mural.” Well we said we believe this to be a human mural. 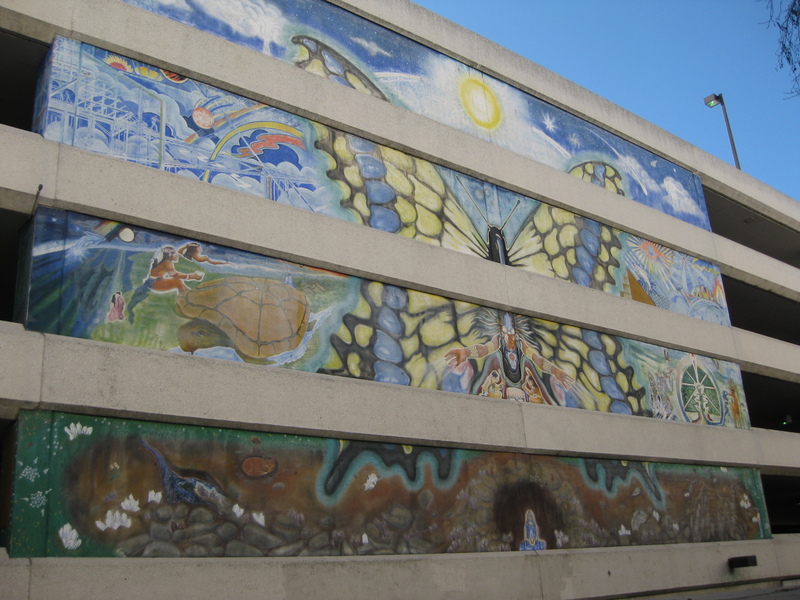 I remember the day we finished the mural, when we finished the big butterfly, that there was an actual Tiger Swallowtail butterfly that flew from the top of Macy’s building and it flew right to the center of the painted butterfly. It almost genuflected, it paused there, and then it flew away. We all watched it. And we knew we had completed it. And it was confirmed what we had done (8).